1. This from yesterday made me realize that all babies probably have a thing for the piano apps. Peanut loves the one on our iPad and she's also obsessed with a Turtle's Tale (still) like I mentioned a little while back. We stream Sammy and his buds on Netflix, but haven't branched out too much farther than that. I mean, I don't want her to become a Netflix junkie or anything. We only tune into Sesame Street on the weekends because it's on at fussy o'clock on the weekdays. Plus, I've seen the effect of that fuzzy red monster on little kids. One minute they're all cool and calm, then mention the E word and they turn into little fiends that need their next hit likerightnow. That's totally Franklin, but we call him Sammy. 2. 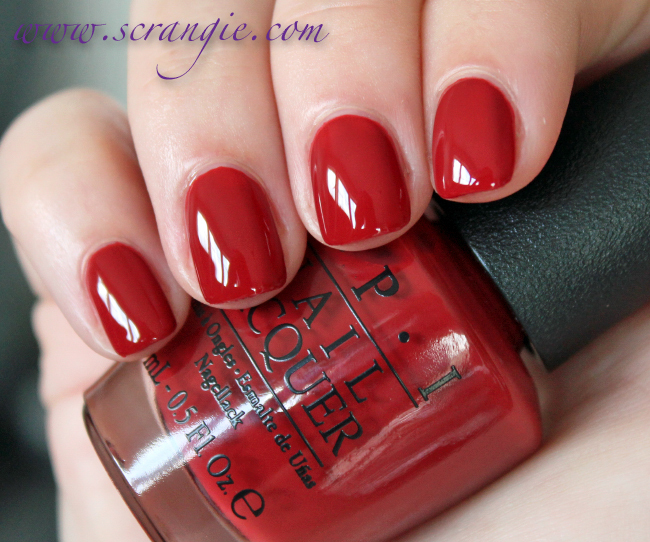 Fall nail polish collections are starting to pop up here and there, and Scrangie has swatches of the OPI San Fransisco Fall/Winter 2013 Collection. I'm totally drooling over First Date at the Golden Gate, Incognito in Sausalito, and In the Cable Car-Pool Lane. But, am I really ready to trade in my summer brights for the bold and muted spice-inspired shades of fall? (I think I just might be. Shhhh. Don't Tell.) And BTW, aren't her swatches swoonworthy? So, SO pretty! 3. Nailasaurus wins for my favorite nail art look this week. I love the waterfall technique she's been rocking, and it looks cool and edgy in Monochrome. If you need some creative nailspiration, you definitely need to check out her blog. 5. Not to make this week all about Netflix... but it's pretty cool that you can FINALLY set up different user profiles. When Peanut and I were girlcaving it up one weekend in Spring, I was sooooo excited to watch Netflix allweekendlong and get recommendations that I would like, for once. (Mr. Sparkle watches much more Netflix than I do.) He, however, was not so enthused to have his perfectly curated Netflix account succumb to the destruction that is Me, Peanut, and our Party O'Glitter. Pretty sure Netflix Red turned Hot Pink for a little while because of that weekend. Anyhoo, the profiles are soooo nice, because I can finally get my own recommendations! I have my own Instant Queue! No zombies or horror movies on Netflix VSparkle!!! And because Mr. Sparkle is the awesomesauciest, he even loaded a BUNCH of movies into the Instant Queue that I actually lurve! (Okay, I deleted one or two, but STILL! He TOTALLY didn't have to do that!!!) So, naturally I did what any other girl would do... I powered through the first 13 episodes of Mako Mermaids, the sort of sequel to H2O: Just Add Water. I can't wait for the rest of the season to be released in September! Come back next week for another Fangirl Friday... and have a FAB weekend! What are you loving this week?! ?